All grocery stores are not created equal. In our area, you’ll find food co-ops that specialize in fresh groceries and items with quality ingredients, but the prices are high. You’ll find chains that try to appeal to all shoppers, like Hy-Vee. You’ll also find discount grocers. 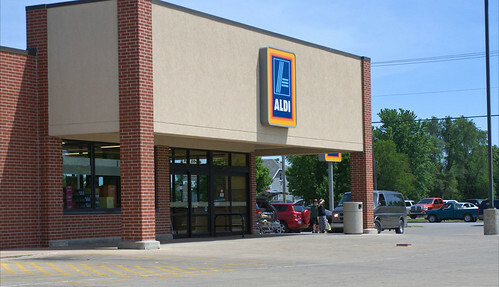 For me, the two store chains that fall firmly into that group in my area are Aldi and Fareway. When I’m grocery shopping, I do the majority of my shopping at Fareway. For me, it always comes down to what is really on offer at a grocery store. Is it clean? Are the items there easy to find? Are the prices reasonable? Do they have the items I actually need? Do they have items that I desire? Do they have a large, varied selection? My experience has been that each store has its own balance between these features. In order to get some of the features listed above, you’re going to have to give up on other features. For example, the local food co-op tends to excel with cleanliness, interesting items, and a varied selection, but it’s mediocre in terms of easy-to-find things and having everything I need, and it’s terrible in terms of price. The local all-in-one grocery store tends to excel with having everything I need and is average in about every other category. On the other hand, the local discount store excels on price and is mediocre at the other factors. For me, the solution is obvious: I use all three of them. I buy most of the needed items at the local Fareway, where the prices are low and all of the items I need can easily be found. This takes care of most of my weekly grocery stops. If I have more esoteric needs, I’ll go to the other stores, but it’s on a less frequent basis and it tends to be only for the specific things I need. I’ll go into the food co-op looking only for three or four specific items, and I’ll go maybe once a month. Because of these choices, my weekly grocery bill tends to be a lot lower than it otherwise would be. However, saving that money takes a bit of extra planning. Most of the time, my meal plans tend to avoid unusual ingredients that can’t be stored for a long time (like fresh fruits or vegetables that aren’t commonly found). This way, I can avoid the more expensive food co-op or all-in-one store most of the time. I don’t avoid such meals, I just tend to set them aside for a later date. The end result is a lower monthly food budget. The backbone of our diet comes from food purchased at a discount store, with some supplementation from other places (like the farmers’ market, the food co-op, the all-in-one grocery store, the warehouse club, and our garden). Try out your local discount grocer. You might just find that it perfectly takes care of your weekly grocery list without emptying the cash from your pockets.